The Sleeper SEALs are former U.S. Navy SEALs recruited by a new CIA counter-terror division to handle solo dark ops missions to combat terrorism on US soil. When things go bad, in Michael’s world things go horribly, terrifyingly bad. It’s been a year since hardened Navy SEAL Michael Stanton walked away from his career. He never thought to go back, but then his former commander calls with the news that an old friend was murdered while undercover – and he needs Michael’s help. Knowing the next dead body might be his, Michael takes his friend’s place at the home of a terrorist. His official mission is to find all he can to bring the man’s operation down. His personal mission is to find out who murdered his friend. Mercy got the job as a maid that her sister had last held – just before she disappeared. With the police lacking leads and interest, Mercy decides it’s up to her to find out what happened. Inside the huge home, she meets Michael and becomes immediately suspicious ... and immediately attracted. When they collide in the worst way possible, she realizes he's not who he seems either. Can they each find the truth about their objectives and about themselves? Or will the terrorist get wind of the traitors in his midst and take care of them before they can take care of him? Each story in this multi-author branded series is a standalone novel and the series can be read in any order. 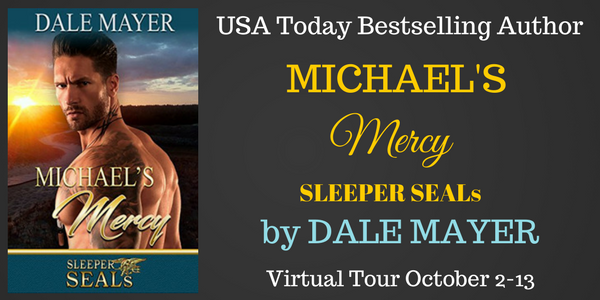 Welcome to Michael’s Mercy, book 10 in Heroes for Hire (and Sleeper SEALs #3) reconnecting readers with the unforgettable men from SEALs of Honor in a new series of action packed, page turning romantic suspense that fans have come to expect from USA TODAY Bestselling author Dale Mayer. This book is part of the continuity series SLEEPER SEALS. 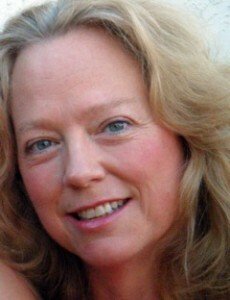 Dale Mayer is a USA Today bestselling author best known for her Psychic Visions and Family Blood Ties series. Her contemporary romances are raw and full of passion and emotion (Second Chances, SKIN), her thrillers will keep you guessing (By Death series), and her romantic comedies will keep you giggling (It's a Dog's Life and Charmin Marvin Romantic Comedy series). She honors the stories that come to her - and some of them are crazy and break all the rules and cross multiple genres! To go with her fiction, she also writes nonfiction in many different fields with books available on resume writing, companion gardening and the US mortgage system. She has recently published her Career Essentials Series. All her books are available in print and ebook format.